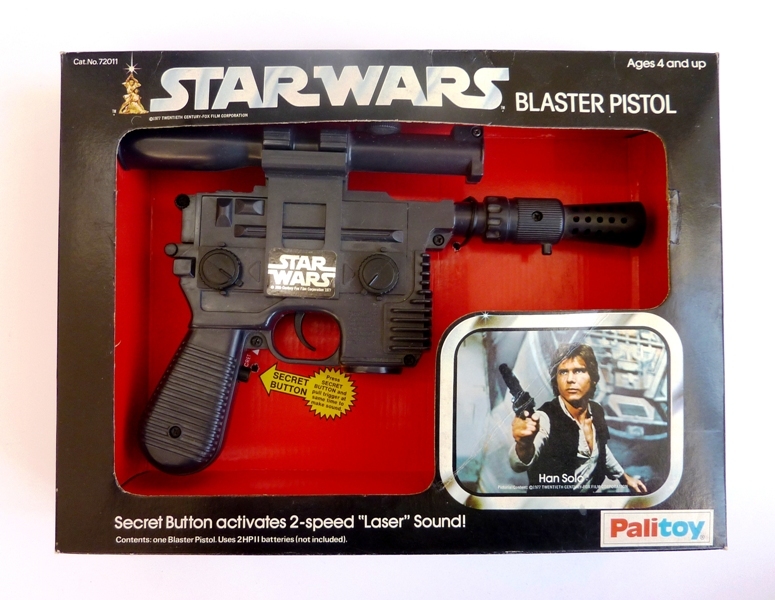 The pistol looks like it has never been removed from the box. The box is one of the best examples we have ever had, the colours are bright and it has minimal wear. The back and sides of the box are in mint/near mint condition. The front has a crease through the Han Solo image and two small tears on the right hand side of the window. 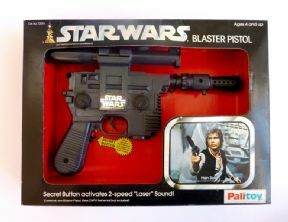 One of the original ties is missing that holds the handle of the gun in place.